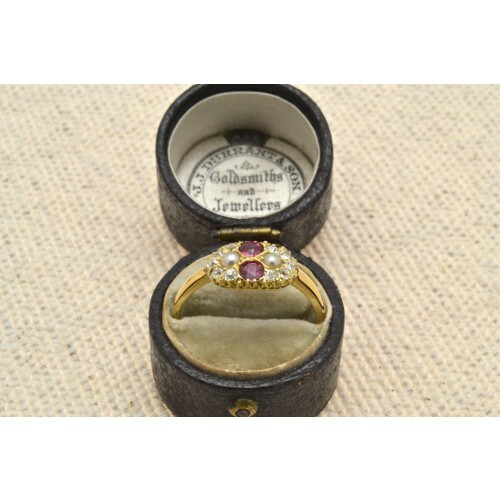 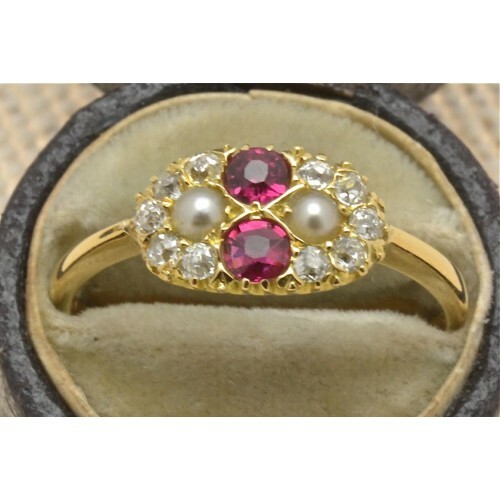 Antique ruby, pearl and diamond oval cluster ring. 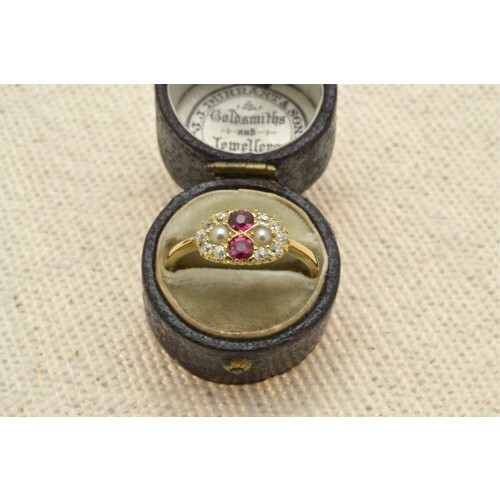 This unusual victorian ring, circa 1890, has two rubies weighing 20 points and two natural seed pearls surrounded by ten old cut diamonds, weighing 30 points. 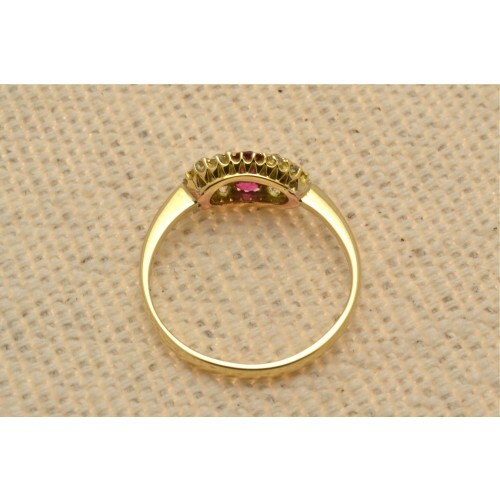 All claw set, 18 carat yellow gold, in excellent order and condition. This is a really rare and exquisite piece.